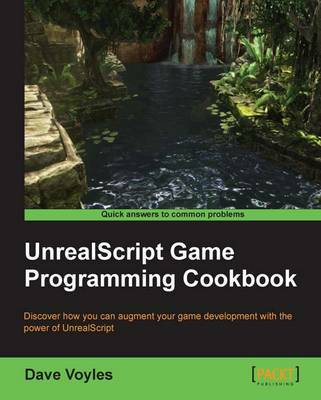 Filled with a practical collection of recipes, the UnrealScript Game Programming Cookbook is full of clear step-by-step instructions that help you harness the powerful scripting language to supplement and add AAA quality to your very own projects.This essential Cookbook has been assembled with both the hobbyist and professional developer in mind. A solid foundation of object oriented programming knowledge will be required. All examples can be replicated and used by UDK and in some cases other software and tools - all of which are available for free - can be used too.